Confirmation Retreat- We are pleased over the large number of youth who are candidates- 25- who were discerning their call to follow Jesus as his disciples at the Confirmation Retreat weekend, February 6-8, 2015. Please support them and their families with your prayers during this important time of discernment. 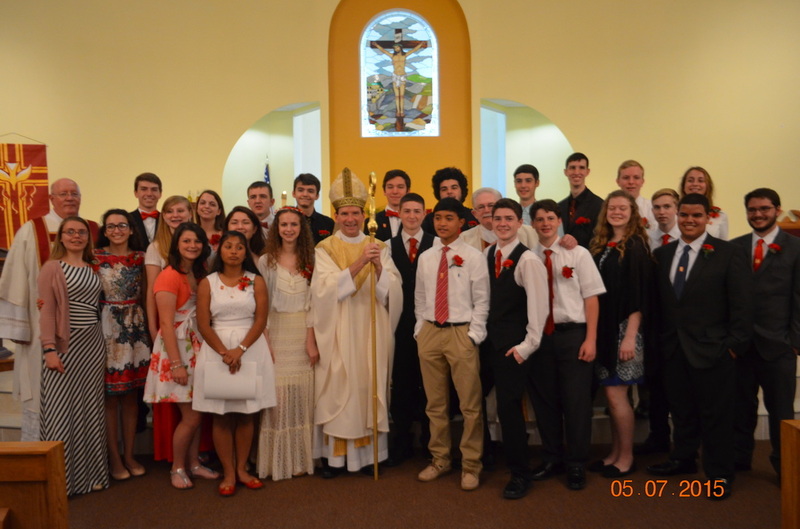 Matthew Tartaglia, and Alyssa Schneider, who was already Confirmed, but journeyed with her classmates as they grew in faith together.